We have recently been working with OneNote and FX Draw on a Microsoft Surface Pro 4 and what we have found is a combination of tools that has the potential to revolutionise the way you teach. For years, teachers have used technology to centralise their teaching materials. When I first started teaching, most experienced mathematics teachers had multiple lever arch files above their desk that contained all of the materials they needed to teach their courses. Now most teachers collect electronic materials into folders on their computers. OneNote represents the next level of organisation as it allows you to organise disparate collections of materials into one “notebook”. 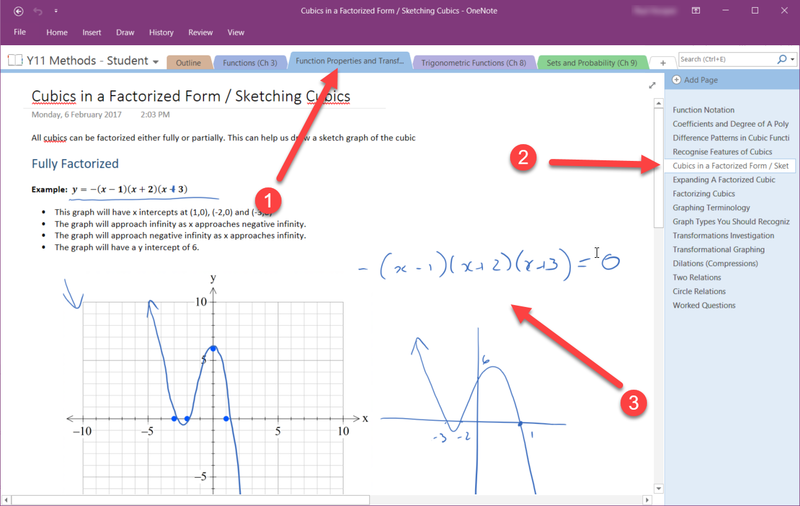 This screenshot shows one page of a OneNote notebook I am currently using to teach a pre-calculus level course. You can see the tabs across the top (1) for the topics and the pages (2) in the current topic. Also note where I have used the Surface’s pen to annotate the notes that I prepared earlier. You can also use OneNote in full screen mode which makes it ideal for data projectors. A major advantage of OneNote is that you can share your notebook with students in numerous ways. They can go home, visit a web page and see exactly the same thing that they were looking at in class. The new FX Draw Cloud version allows you to dynamically create and insert editable diagrams into OneNote. 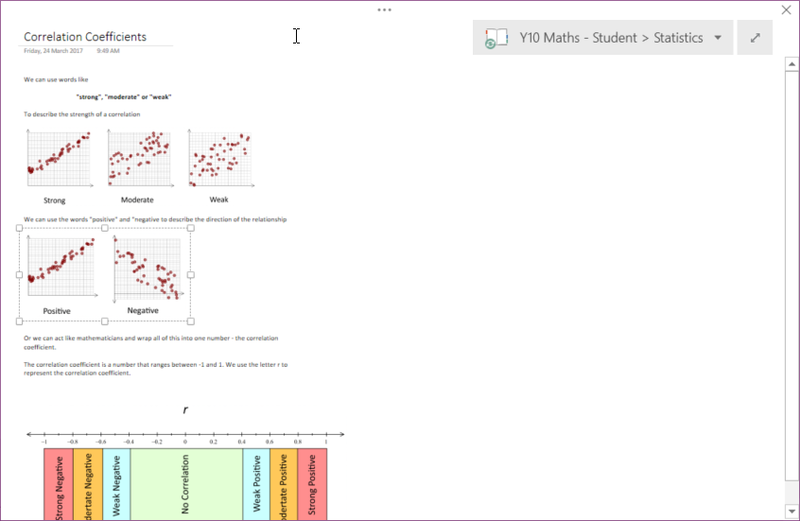 It provides a dynamic mathematical drawing environment that will make you more productive and, with OneNote, far more organised. While the ability to use a pen makes the Microsoft Surface (and similar tablet based computers) an ideal teaching tool, you can also use OneNote with FX Draw on any Mac or Windows computer. Obviously, you can also use FX Draw Cloud to produce graphics that can be used in ANY publication medium including Word, PowerPoint, Pages, Google Docs and Moodle (to name a few).